St. Martin's Griffin, 9781250102959, 224pp. 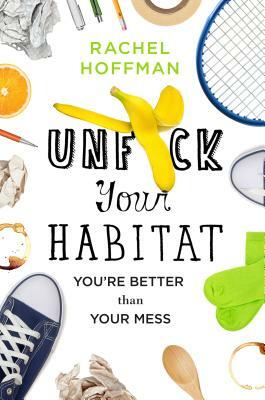 Rachel Hoffman launched Unf*ck Your Habitat in 2011 to motivate regular people to get up, start cleaning, and get their lives in order. Her advice has appeared in publications and websites such as Glamour, Elle, Real Simple, NBC News, Apartment Therapy, Livestrong, House Beautiful, The Times (London), Quick and Dirty Tips, Ravishly, and Lifehacker. She lives in New England with her husband and two Chihuahuas.